Product formulation development control processes are critical to ensuring product quality and specs are met. A robust formulations management plan is the key to successful formulation control. A white paper, Enabling Product Quality Assurance Via Effective Formulations Management, addresses the challenges of product formulation management, and discusses how a Laboratory Information Management System (LIMS) can address them. Properly document the development, testing, approval and lifecycle management of formulations. Formulation should operate on well-defined processes, take into consideration any variables that can affect composition, physicochemical properties, stability and utility of the products. Leverage your documentation to consider costs, and ensure market viability. Maintaining detailed documentation on formulations research – coupled with the ability to search through historical records – allows mining of information that can save time and money. With low-margin segments or products, you can check ingredient & processing costs against historical records of trial formulations, their output, their product results & costing to identify cost- and time-saving processes. Likewise with lab scale experiments – strong documentation practices deliver intelligence that can avoid wasted time & resources. With product formulation, rudimentary trial and error methods may sometimes suffice – especially for one-off formulation development. But for routine large-scale development operations, a robust system needs to be in place. Even smaller laboratories can have complex development histories that would benefit from a universal management platform. LIMS create a universal system for documentation, storage, retrieval, collation & searching for any type of useful information – including providing historical search capabilities. A LIMS can manage all product formulation needs. The LabVantage Formulation Module, for example, provides project-based formulation design. Among the key features, the module supports multiple formulations for comparison. With all recipes stored in a central database, users can easily calculate formulation material costs and physical properties (e.g., specific gravity and density). Centralizing the recipes also aids in reducing formulation duplication while offering the capability to generate lab samples for testing. When it comes to product formulation capabilities, not all LIMS . are the same. A purpose-built formulations management LIMS can eliminate the need for scientists to document anything outside of the system plus offer a comprehensive set of capabilities for developing and managing formulations. Robust capabilities for sample & specifications management and product testing/analysis during different stages of formulation. Reusable formulation templates, capable of varying sample calculation requirements. Ability to move formulations from one stage to the next with clear management approval. 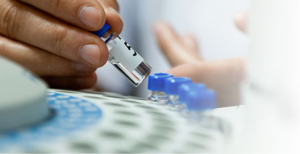 LIMS is often thought of as a sample management and product testing platform for scientists. But systems that are configured properly are also critical for the management & documentation of complex scientific information for product development. Read More: White Paper – Enabling Product Quality Assurance via Effective Formulations Management.